Coconut Milk Yogurt Recipe - Easy 4 Ingredient Recipe! Thanks to you for sharing awesome recipe! Tried and totally loved it, thumbs up!! Is it possible to use agar agar powder instead of flakes? If so, how much? I can’t wait to start making this for my grandson when he is old enough to eat it. Perfect for family breakfast. Its low in carb & health for day energy. I will give it a try thanks for sharing. Why does the coconut milk have to be heated up to almost boiling point. Going to try to tonight! Coconut milk yogurt, homemade and super easy to prepare, thanks. I like using the instant pot as it saves me loads of time. I put on stews in the morning and they are ready in the evening when I come home from work. Are there different instructions to use to make coconut yougurt in the Instant Pot? How do you use the insta pot? I’d love to give that a try. Thanks! Will try it tonight. Thanks for sharing! I make my own plain yogurt. I heat my milk, then add my starter from previous yogurt & let set & refrigerate. That being said, I added the cream from the top of the coconut milk can (refrigerated) to my heated milk. Then added my starter, it set but had clumps of coconut in it. Can you suggest what I am doing wrong. I do not want sugar or probiotics. I made this and it tasted so good, but in the jar, the bottom third was watery, while the top was thick like yogurt should be. What happened? Hi, just wondering why do you have to heat milk? Damn coconut is the low carb dieter’s swiss army knife… I wonder how it would taste without the extra sugar though? Hmm.. I often make my own coconut milk with shredded coconut. Do you think it could work in this recipe? Currently waiting for the mixture to finish it’s time fermenting/setting/creating (whatever it’s doing in my oven overnight!) but pretty certain this will mean I have caramel coloured yoghurt. Hmm…. Hi Tiffany, this was very easy-to-follow and my kids loved it. I made this and it tastes yummy but the original recipe gave me a yogurt drink. I warmed it up slowly and only to 95 degrees to not destroy the probiotics. I know that gelatin disolves at 95 degrees. I bloomed an added tablespoon of gelatin in some cold coconut milk and then added it to the yogurt mixture and stirred until the gelatin was disolved. I put it in small mason jars and let it set on the counter for about an hour then refrigerated it. The result was a wonderful yogurt. Next time, I will add a tablespoon of gelatin at the beginning. Well, it’s sitting in my oven….. I used homemade coconut milk. I hope it works. The recipe was really easy. Yumm! This seems like a great recipe. If I use probiotic from a bottle, not capsule, how much would I need? I’m keen to give it a try! Is there a way to adapt this recipe using an instant pot? Can I use honey instead of sugar or maple syrup? You can use honey. Anything that the probiotics can use to grow will be fine. Do not use stevia or other sugar substitue. This will keep the probiotics from having something to feed on. 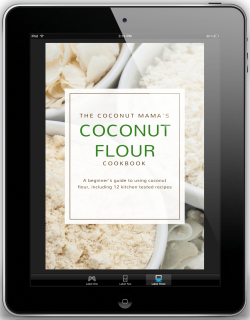 Hi dear….I am dying to make the coconut yogurt & your recipe looks great. Can we use regular yogurt (cow or Buffalo milk yogurt) as a starter ? We have 7 fresh coconuts…so I was planning to extract fresh coconut milk. Please let me know how you feel about it. Finding the probiotic capsules is little difficult. I’m wondering if I can use my favorite store bought coconut yogurt to make the recipe also. I think it’s possible bc her comment at the end is to use 1/4 cup of the current for the next batch but I’m not sure if store bought or dairy yogurt would do the same. Thanks for sharing this recipe. A video of the recipe would be awesome. I made this coconut yogurt and mine turned out bubbly,thin and tastes carbonated. What happened? I used all the correct ingredients and probiotics. So I made this without the sugar- looked good, then refrigerated. The next morning the cream was hard on top- what do I do with that?!? Have you had any success making this with homemade milk instead of canned? Thanks! How did you get your yogurt to be white? the coconut sugar turned mine brown/tan. neither coconut sugar, organic cane sugar or maple syrup are white. I am wondering the same thing. Mine is in the yogurt maker right now, and it’s brown. I used coconut sugar. Do you drain the liquid out of the coconut milk (I’m assuming it’s the kind in the can) before mixing it? I followed this recipe precisely. I even bought the Natural Value coconut milk and Great Lakes gelatin. Although my flavor was great, it had quite a strange texture. The fat rose to the top and solidified and the bottom was a clearish gel. There was no way to stir it up and get it to come together. I used it all in smoothies. Any ideas? Mine did that too Rebecca, I followed the recipe and there was a solid film on top and yellowish-clear gel on the bottom. I ended up composting mine, didn’t think I could eat it. I’m not sure what I did wrong 🙂 Any thoughts? Thank you for your coconut milk recipe. It worked and tasted great and has certainly saved me $$. I am wondering if you have had an issue with separation of the coconut water and the coconut fat when making the yogurt. Mine kept separating and I wasn’t sure if I should mix it up while it was incubating or not. About 3 days into eating it, I used a stick blender and mixed it all up and haven’t had the issue since but worry I’ve ruined the probiotic culture integrity doing this. Do you let the yogurt cool before putting in the fridge? Could I use stevia instead of the sugar or maple syrup. 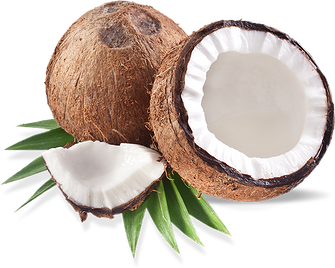 How do I make coconut yoghurt with fresh coconut meat please? Thank you for posting this recipe. As a long-time yogurt maker, and now coconut milk maker, I’ve been thinking about making coconut milk yogurt, and I have a question for you about the addition of gelatin or agar agar to help the yogurt set up. With dairy yogurt, the bacteria thickens the milk and begins the cheese-making process. Thickeners are not needed. My question is this: Is there something about the coconut milk that prevents the bacteria from growing enough to set up? Again, thank you for the recipe! I enjoy your posts. Thank you for the work you do in sharing these recipes and the information. I want to try this yogurt recipe…I’ve tried others that haven’t worked. Maybe this time! is the sugar/maple syrup necessary for the probiotics to grow or can it be replaced with a low carb alternative such as stevia? Can you tell me how much phosphorus is in the coconut milk yogurt ? I need a low phosphorus diet to help control calcium. This sounds amazing ! !